Others In Attendance: 3 residents. Clerk, Garner, presented the minutes of the Regular Board Meeting held September 12th, 2018. Supervisor Dawson moved to approve, as presented, seconded by Trustee Gudat; followed by a unanimous “Aye” voice vote. Community Policing Report: Deputy Lauber reported several motor vehicle burglaries in the township. Georgetown resident sustained home burglary. Residents need to be aware. Over the last month, drivers have been violating bus crossbar at stops. If issues should arise, we will monitor areas of concern if advised. Supervisor Dawson asked for public comment. No request was received. Investment Report: The Investment Report ending on October 8th, 2018 was accepted as presented by the board. Supervisor Dawson reported that 4 trees need to be addressed at township park. Photographs of the dead trees were provided for trustees to review. Supervisor Dawson advised a dispute has arisen with resident along the south park property line. Supervisor will have survey completed. In February, Supervisor will be out of town. Meeting will be moved from second Wednesday to first Wednesday of February. Ozinga received our pre-payment for the salt. They should be arranging for delivery very soon. (Thursday or Friday). We installed 2 cleanouts on the sump drain line on Medina Street. Hunter was able to televise the line. It has collapsed in several locations appears to have been damage during water main replacement. A resident also cut a hole on the side of the pipe and stuck their sump line in the pipe, but didn’t seal hole, so a portion of the pipe is full of mud. I talked to 2 contractors that said they would be happy to replace it but not until next year. They are swamped with work. Dillon Plumbing thinks they can do it in next couple of weeks. I am considering this an emergency and am waiving bid requirement. Leaf pickup is scheduled to begin 10/29/18. Porter Brothers hasn’t done any of the seal coat work yet. It won’t take long to do, but the weather isn’t cooperating. Talked to them today. They are sending a motor grader and roller down, so if weather breaks, they can blade and shape Ivy Lake Road. Will seal coat if we get a little stretch of dry and warm weather. Real estate sales are up and down in township. The multiplier will be -3% next year. Trustee Clinch inquired if previously discussed tree will be removed. Road Commissioner will review. Drainage issue in Colony Point will be addressed next year. Trustee Gudat advised that resident is collecting garbage which is becoming an issue. Supervisor Dawson advised that matter should be reported to Peoria County Planning and Zoning. Park Fence Update: Supervisor Dawson advised that fence work has been completed. Public Act 100-0983 Clerk Attesting township payouts: Supervisor Dawson reviewed new law. 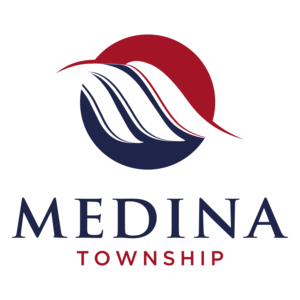 Township will work with accountant to address and comply with act. Township/Road District Bills Audited: Road Commissioner Sturm requested Horowitz payment be issued. After reviewing, Trustee Clinch made motion to pay invoice, seconded by Supervisor Dawson followed by unanimous voice vote. Trustee Clinch made motion to make 4 payment of $79 for mowing of Brookview Park by Dale Montgomery, seconded by Trustee Gudat followed by a unanimous voice vote. All bills of the Town and the Road District were audited and approved for payment. All bank accounts were reconciled and found to be in order. Supervisor Dawson moved to pay the bills, seconded by Trustee Molohon followed by a unanimous “Aye” voice vote. Adjournment: There being no further business to come before the board, Trustee Molohon moved to adjourn, seconded by Trustee Gudat, followed by a unanimous “Aye” voice vote. The meeting adjourned at 7:30 PM.